On April 30,Mrs. 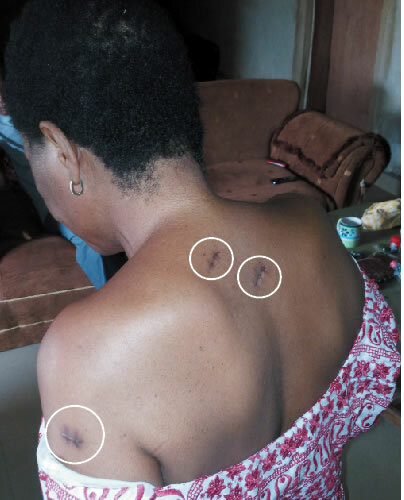 Ashinwo and her daughter, 30-year-old Oluwatosin Ashinwo, an employee of MTN in Ilorin, Kwara State were attacked by a knife-wielding obsessed suitor of the young lady, 45-year-old David Ogundele. 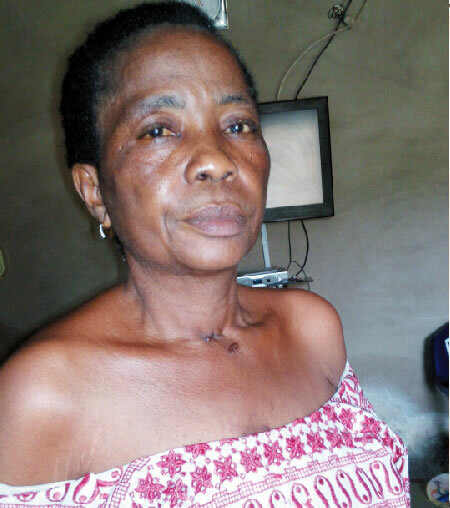 Mrs. Ashinwo survived the attack, her daughter didn’t. According to her, the day of the attack was the first time he would meet the killer, Ogundele. “The first time we spoke, he called me and introduced himself as Engineer David. He told me he was my daughter’s friend and I should help him to appeal to my daughter to marry him. “I was surprised but I told him that my daughter was a 30-year-old woman. She was free to make her own decision about who to marry. “He called again some weeks later and said he and my daughter had settled the issue. “The next time, he called, he was very angry. He said he had never been humiliated the way my daughter humiliated him. It was few days after my daughter’s birthday. He said he organised a birthday party for her and invited his friends and even bought a car as gift but she did not honour the invitation. “I did not know what to say. My daughter already had a car and already has someone else she wanted to marry. I told him not to be annoyed and forget about the issue since my daughter had made up her mind. “Prior to April 30, I started having some bad dreams about my daughter and became really concerned. I decided that it was time to go and check on her to know how she was doing. “On my way to Ilorin, the man (Ogundele) called again and said as soon as I get to Ilorin, he would come and pick me at the park. I said nothing. But since I did not even know him I went straight to my daughter’s place without calling him. “When I met my daughter, she took me to a woman, who seemed to be her confidante. We ate and the woman told me that my daughter had a fight with one man called Engineer David that day and the man threatened to kill her. “I did not waste time; I stood up and told her I must report to the police. But my daughter told me to let the matter go. She said I was just making a big issue out of a small matter. The following day, Sunday April 30, without any hint about the danger that lurked in the shadow, she and her daughter had just got home from somewhere that day. As they entered Oluwatosin’s flat, Ogundele, who was said to be have been hiding around the flat, cornered them in the flat. “As soon as I saw him, I sighted the knife he was holding. I asked him what the problem was and he kept quiet. I did not understand what was happening. He was saying so many things I did not understand. I asked him if my daughter owed him anything. I promised to pay back everything. He said she did not owe him anything. He was just angry. “I told him that even if they offended each other, it should not be that bad that it would require the use of a knife. I told them they could still be friends. When I realised he had no intension of dropping the knife, I went down on my knees. I was begging him to drop the knife. Then, he came to where I knelt and carried me up. 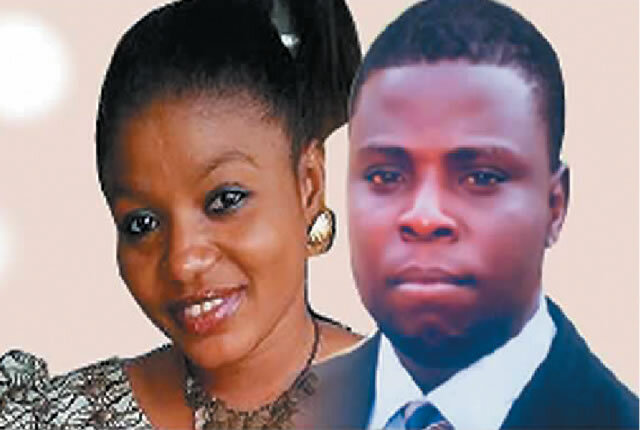 As all became quiet in the room where the dying women lay, Ogundele, dropped his weapon, the bloody knife and locked his victims in the room, Saturday PUNCH learnt. Minutes went by as Mrs. Ashinwo tried to call out to her daughter who was bleeding from every parts of the body. She said she was so weak she could not even call out to her daughter who had become lifeless at that point. Lucky for her, she heard someone in a kitchen behind her daughter’s window. The woman said she used the last ounce of her strength to call the person, who later raised the alarm. By the time the door was broken down, it was too late for Oluwatosin. She was pronounced dead on arrival at the hospital. Saturday PUNCH had earlier reported that Ogundele was arrested in Osun on Saturday, May 14, after the police tracked him down with undercover agents. But Mrs. Ashinwo said the police have not even contacted her to give evidence. She said she could not understand why Ogundele has not been charged to court.